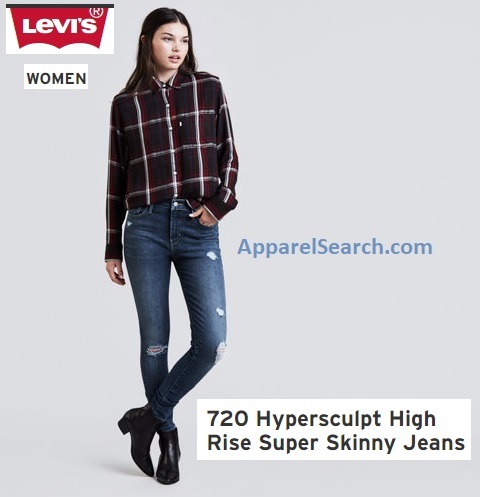 Levi's 720 High‑Rise Super Skinny is the ultimate shape‑defining fit. Figure‑flattering design. Fabric that holds its shape and contours your curves. All‑around perfect. Do you know what a high rise means? You may want to learn more about the rise of a pant in our fashion industry terminology section. 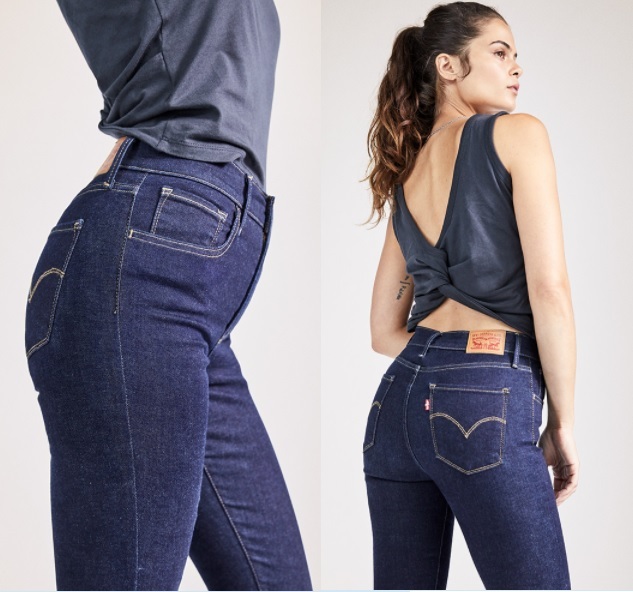 Visit the Levi's website to learn more about their latest High‑Rise jean for women. Levi's® signature 'Lot 700' fits are the ultimate look-amazing jeans, designed to flatter, hold and liftÑall day, everyday. 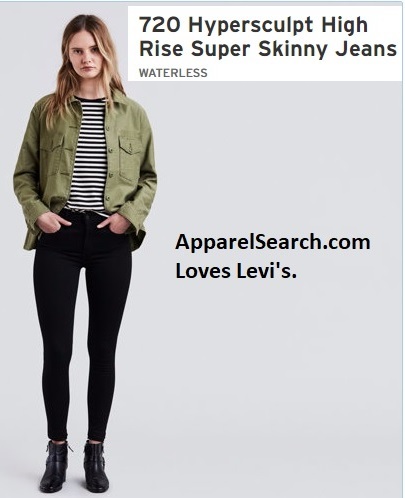 Levi's® took your favorite high rise and made it skinnier. These jeans are made with special innovative fabric that sculpts, smooths and holds its shape. Every drop counts, so we aim to use less water. Our designers are constantly thinking of new ways to create the same styles you love while cutting back on H2O, such as updating finishing techniques to require less water than traditional processes. These are made using our WaterLess® techniques. Levi's® signature 'Lot 700' fits are the ultimate look-amazing jeans, designed to flatter, hold and lift—all day, everyday. Levi's® took your favorite high rise and made it skinnier. These jeans are made with special innovative fabric that sculpts, smooths and holds its shape. They even has some that come styled up with rips. The ripped jeans are actually currently more expensive. Women everywhere have fallen in love. Now it's your turn. These innovative styles flatter, hold your shape, and make you feel amazing. Do you have fashion news that you wish to share with the world? 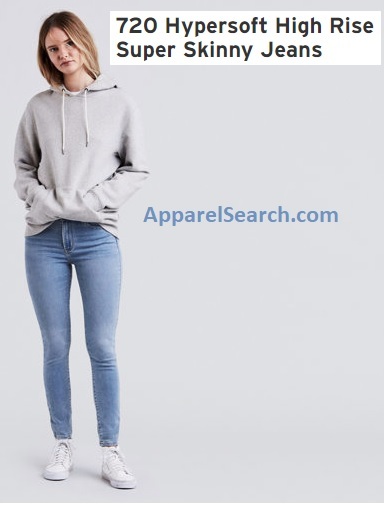 You are welcome to share your fashion news by submitting it to Apparel Search.